Even if you are just an amateur stamp-collector, much less a professional philatelist, it won’t take you long to realize that not many people in this world are fond of collecting Singapore stamps, as compared to, say, stamps issued by other countries. SingPost seems to have somewhat cheapened the value of Singapore stamps, by issuing First Day Covers, as if they're selling parking coupons—Singapore issues, on average, a dozen sets of new stamps every year. 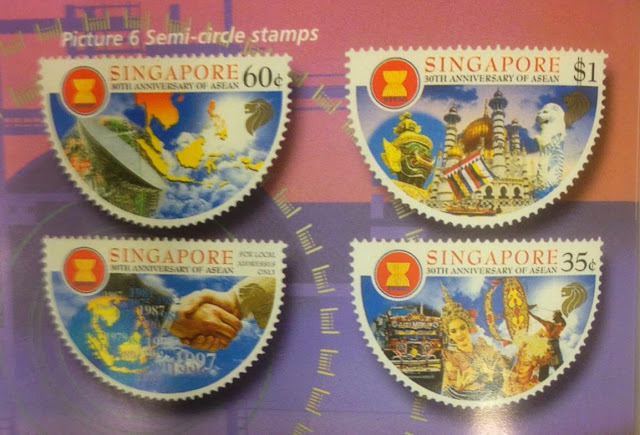 In general, most Singapore stamps have an uninteresting theme or design; SingPost's commemoratives seem to have been issued more as a means to generating extra revenue from stamp collectors, with little attention paid to aesthetics and beauty. To promote an interest and appreciation of Singapore's (or Asia's) mathematical history and heritage in philately, traveling exhibitions may be held locally and regionally. For instance, rare philatelic gems such as mistakes, fakes, and forgeries—how mathematics can help detect forgery and fraud in philately—may be showcased. 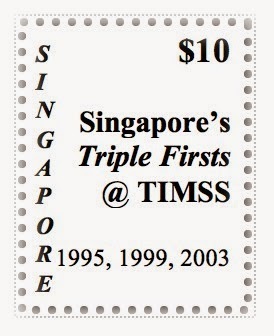 So, issuing Singapore stamps with a mathematical flavor would go a long way to marketing and glocalizing Singapore math, while recognizing the contribution of local math educators, on leveraging the power of mathematics to help alleviate poverty, or lessen the economic gap between the haves and the have-nots. Let’s stamp mathematics firmly on Singapore postage stamps—glue is halal. 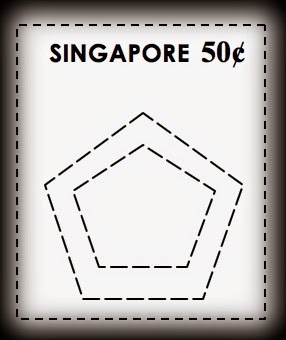 Stamp up, Singapore! Wilson. Robin J. (2001). Stamping through mathematics. New York: Springer-Verlag. © Yan Kow Cheong, October 15, 2014.